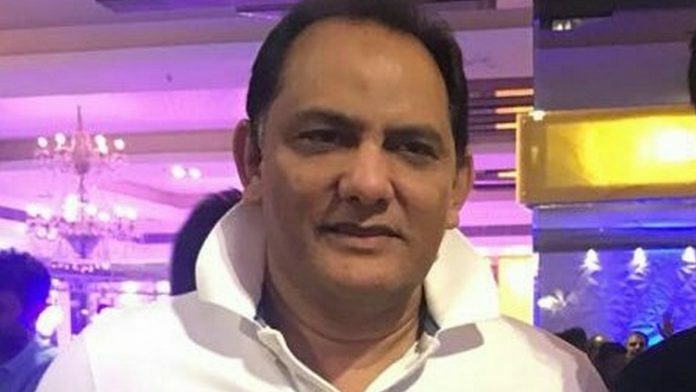 Cricketer-turned-politician Mohammed Azharuddin’s appointment comes ahead of the 7 December assembly election in Telangana. New Delhi: Former MP and cricketer Mohammed Azharuddin was made the working president of the Congress’ Telangana unit by party chief Rahul Gandhi on Friday amid speculation of him quitting the party. An official communication announced that Gandhi approved the appointment of office bearers of Telangana Pradesh Congress Committee and made Mohd. Azharuddin the working president of the committee. Apart from him, there are 14 other members in the committee, including vice-presidents, general secretaries and secretaries. There were rumours that the former India cricket captain-turned-politician was considering quitting the Congress and joining the Telangana Rashtra Samithi. Senior Congress leader Abid Rasool Khan, known to be a close associate of Azharuddin, recently quit the Congress after 32 years to join the TRS. He had told ThePrint that Azharuddin had conveyed his displeasure at the way he was being treated, and that the high command wasn’t stepping in to defuse the tension. Sources in the Congress had said that Azharuddin, who belongs to Hyderabad, was extremely upset with the treatment meted out to him by the party’s Telangana leadership. Azharuddin wanted to contest the 7 December Telangana assembly elections from Secunderabad, Hyderabad’s twin city and the place where he made his name as a budding cricketer. But his proposal faced stiff resistance from senior Congress leaders. Anjan Kumar Yadav, president of the Greater Hyderabad City Congress, stood up during a meeting to screen candidates and announced that he would contest from Secunderabad instead. Yadav also reportedly challenged Azharuddin to contest from Old Hyderabad, which is the stronghold of Asaduddin Owaisi’s AIMIM. The former batsman entered politics in 2009 and was elected MP from Moradabad, Uttar Pradesh. In 2014, he lost the Lok Sabha polls from Tonk-Sawai Madhopur in Rajasthan.